Rovio recently released the Angry Birds Epic, the latest addition to the Angry Birds Franchise but they don’t plan on taking some rest anytime soon. The Finnish company has announced the new Angry Birds Transformers. As you might have already guessed, Angry Birds Transformers features characters with the ability to split into Autobirds and Deceptihogs. The game will feature birds disguised as robots. The new game is said to be the combination of the iconic Transformers universe with the quirky world of Angry Birds. That’s all we know right now, as Rovio has not revealed any teaser or given out more details yet. Rovio has again teamed up with Hasbro for telepods, which lets you teleport your favorite characters into the game. The company also plans on introducing consumer licensed products based on the new game. 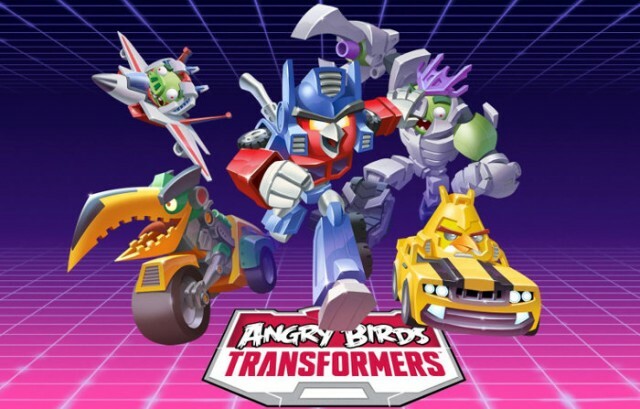 While we don’t have an exact date but Angry Birds Transformers is said to be ‘coming soon’ and it will be available on all the major mobile platforms. There’s also Angry Birds Stella, which is scheduled to come in September.